In 2016, the Nike 21k was for women only, and 2,500 of the runners were participating for the first time. 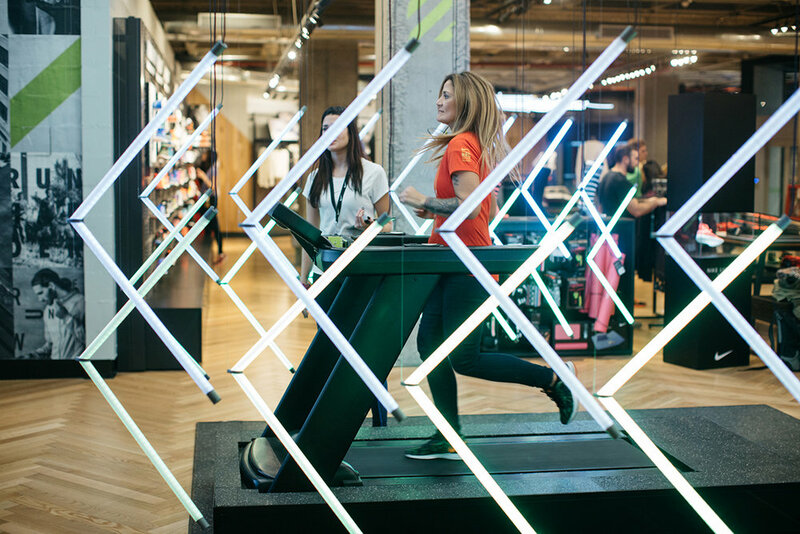 To help these athletes train for the race, we created “Face Your 21k,” an installation that simulated the event. As Olympic marathon runner Marita Peralta guided the experience, users explored the circuit and became familiar with its most difficult challenges. They also received data about their pace, heart rate, and temperature so they could monitor their performance. “Face Your 21k” empowered women to develop a strategy and stick with it. As a result, 83% of the beginners finished the race.